The Honourable Gail Shea, Minister of Fisheries and Oceans, followed the recent announcement of a new Comprehensive Economic and Trade Agreement with the European Union with a visit to a New Brunswick fish processing plant, where the benefits of the Agreement are already being welcomed. Minister Shea also hosted a roundtable meeting with New Brunswick fisheries industry representatives, where she answered questions and discussed potential opportunities related to the Canada-EU Comprehensive Economic and Trade Agreement. "The Agreement is good news for Canada, it's good news for New Brunswick and it is especially good news for fishermen and fish processors," Minister Shea noted during her roundtable discussion. "Companies that process and export Canadian products will certainly benefit from this historic Agreement." When the Canada-EU Trade Agreement comes into force, almost 96 per cent of all EU tariffs on Canadian fish and seafood products will be eliminated, with the remaining four per cent to be eliminated by the 7th year of the Agreement. "This is a big accomplishment for Canada and for the New Brunswick fishing industry in particular," said Doris Losier, Cape Bald Packers Director. "We expect to see great economic benefits resulting from this Agreement from the day it is implemented. Minister Shea's visit today was a welcome opportunity to express our confidence in a prosperous future." Canada's fish and seafood products are among the best in the world. The EU is the world's largest importer of fish and seafood, with a global import market averaging $25 billion annually between 2010 and 2012, and average seafood consumption of 26 kg per capita in 2010. It is already Canada's third largest fish and seafood export market with a value of more than $350 million in 2012, despite these high tariffs. "By providing preferential access to the world's largest common market, the trade agreement will give the Canadian industry a clear competitive advantage and will benefit hard-working Canadians, particularly in coastal communities through more jobs, higher wages, and long-term prosperity," added Minister Shea. New Brunswickers stand to benefit significantly from this preferred access to the EU market. 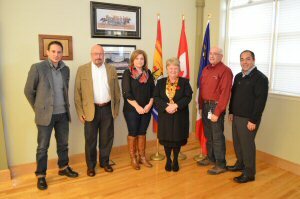 The EU is already New Brunswick's second-largest export destination and fourth-largest trading partner. CETA will eliminate tariffs on almost all of New Brunswick's key exports and provide access to new market opportunities in the EU. Exporters in these sectors will also benefit from other CETA provisions that will improve conditions for exports-provisions, for example, that ease regulatory barriers, reinforce intellectual property rights and ensure more transparent rules for market access. Today, the Honourable Gail Shea, Minister of Fisheries and Oceans Canada, participated in a stakeholder roundtable to discuss opportunities for the Canadian fish and seafood industry related to the Canada-EU Comprehensive Economic Trade Agreement. The agreement was announced on October 18, 2013. 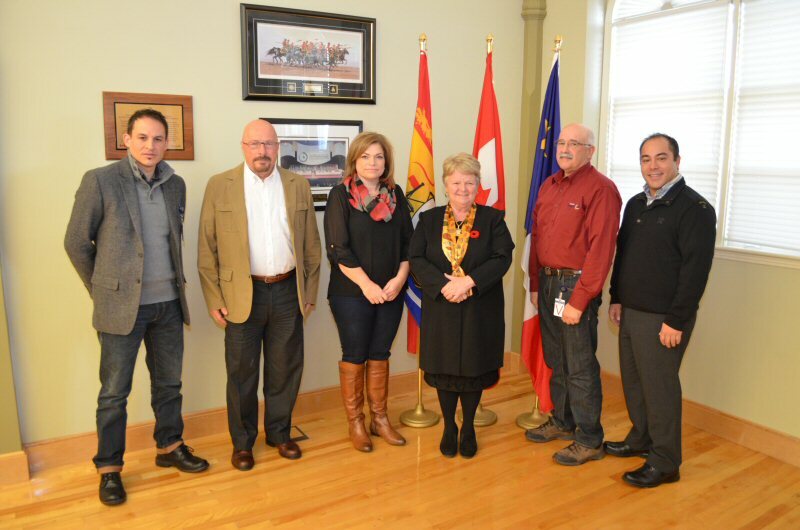 Minister Shea is pictured, left to right, with roundtable participants Christian Brun, executive secretary of the Maritime Fishermen's Union, Robert Hache, president of the Association des crabiers acadiens Inc., Doris Losier, director of Cape Bald Packers Ltd., Maurice Daigle, president of Maison BeauSoleil and Martin Noel, representative of the Federation regionale acadienne des pecheurs professionnels.